Recently I posted a blog about Robert Frost, in which I visited a school and read the famed poem, Stopping by the Woods on a Snowy Evening by Robert Frost. I will re-post that WinkWorld near the bottom of this posting. “Free voluntary reading consists of massive, but not necessarily wide, self-selected voluntary reading. This provides the bridge between conversational language and academic language (Krashen, Lee, & Lao, 2018, pp. 13 – 14). 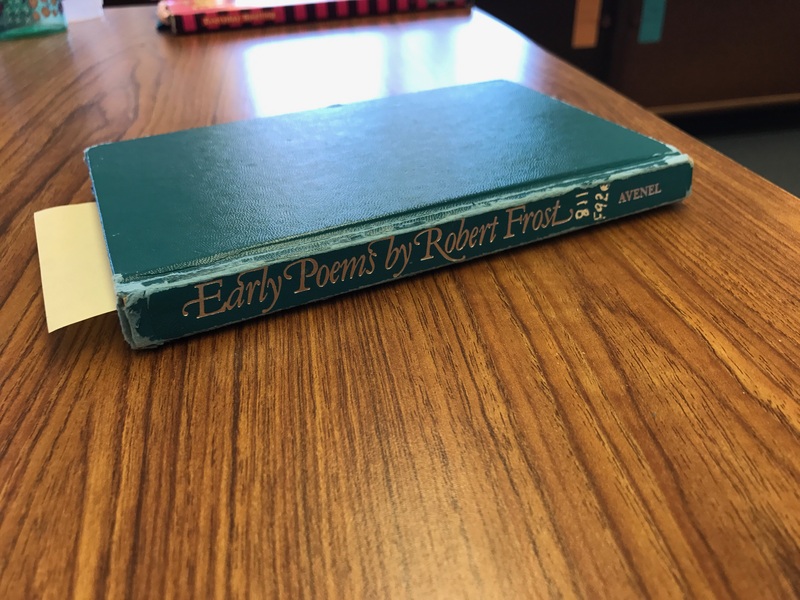 A couple of weeks after I had read the Frost poem in that school, one student chose this book during self-selected silent reading. The teacher quickly sent me this photo. Made my day! Self-selected reading is the kind of reading we do because we want to. It is often “light” reading, reading not intentionally designed to inform or make one a better person (Krashen, Lee, and Lao, 2018, p. 37). Jack Frost or Robert Frost? Krashen, S., Lee, S., & Lao, C. (2018). Comprehensible and compelling: The causes and effects of free voluntary reading. Santa Barbara, CA: ABC-CLIO/Libraries Unlimited. Coming soon to WinkWorld soon: A review of this new book.